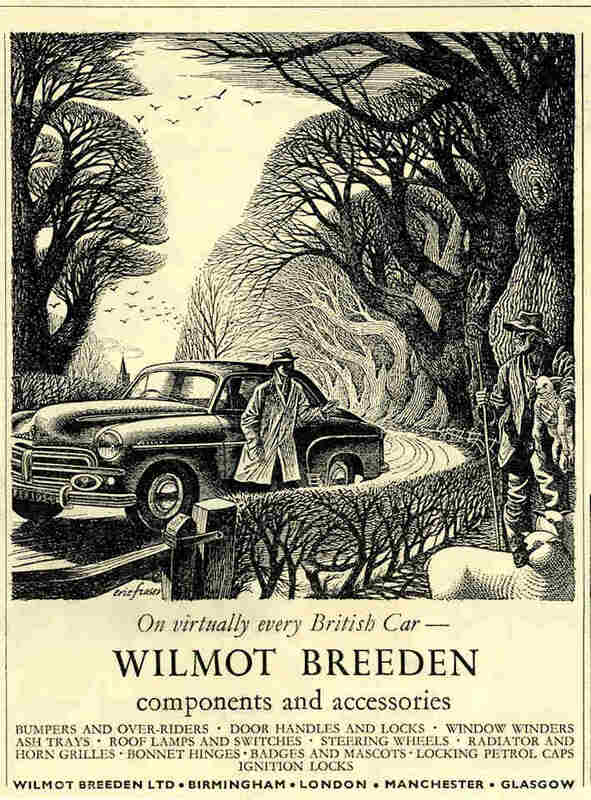 Famous prolific UK illustrator and designer with a very strong black and white technique. 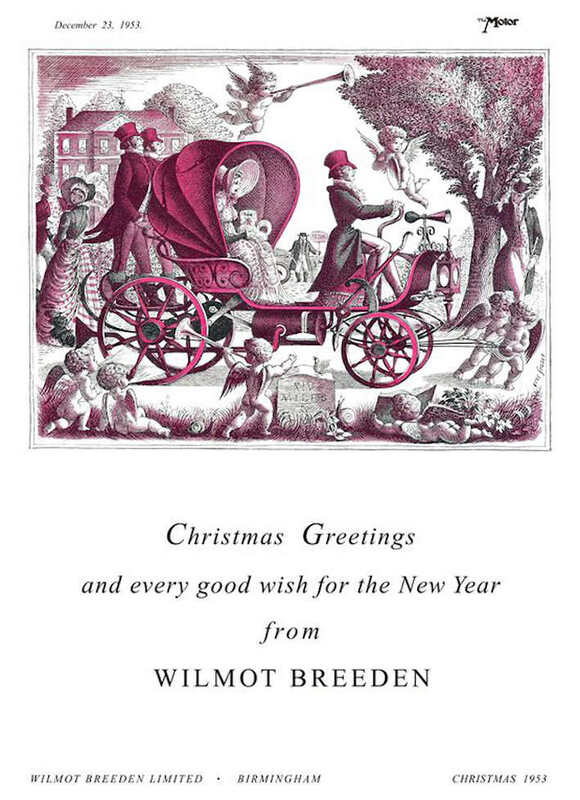 Worked for a whole variety of clients including the Radio Times, Harpers Bazaar and Punch. 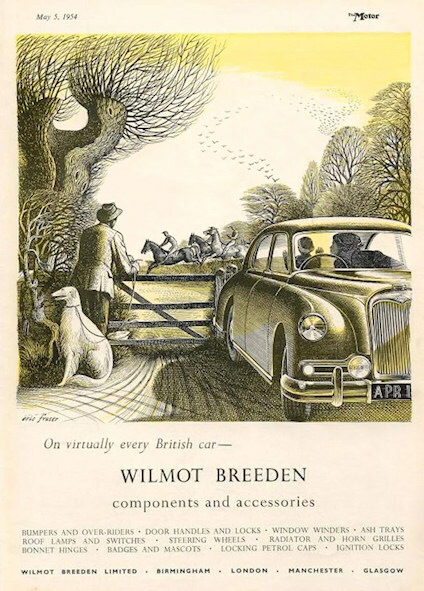 He did motoring art work for Wilmot Breeden and also I believe Armstrong Siddeley. 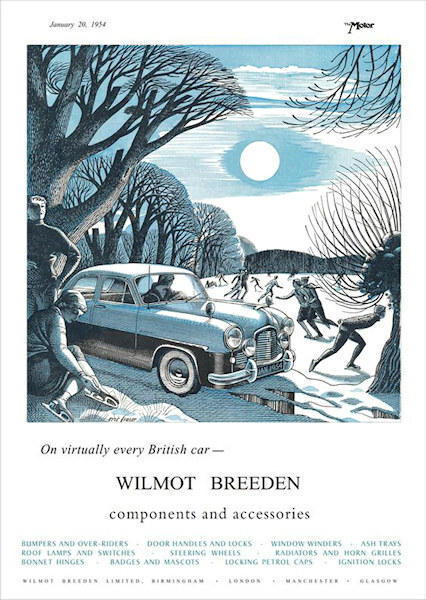 Wilmot Breeden advert January 1954. 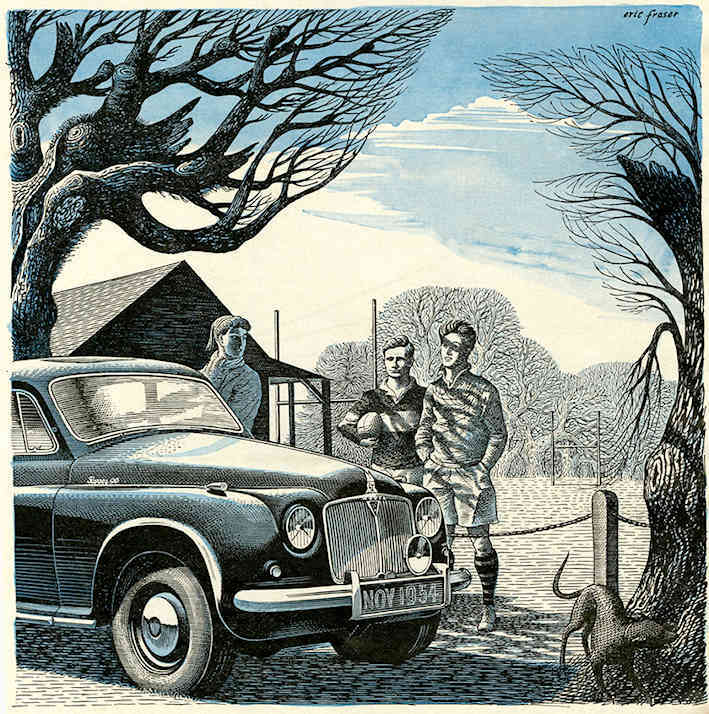 Ford Zephyr Six. 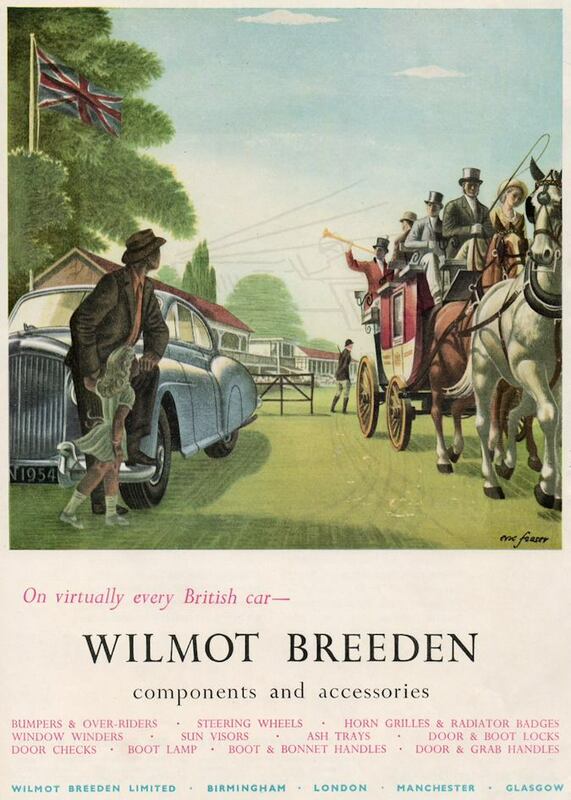 Image courtesy of Stuart Middlemiss. 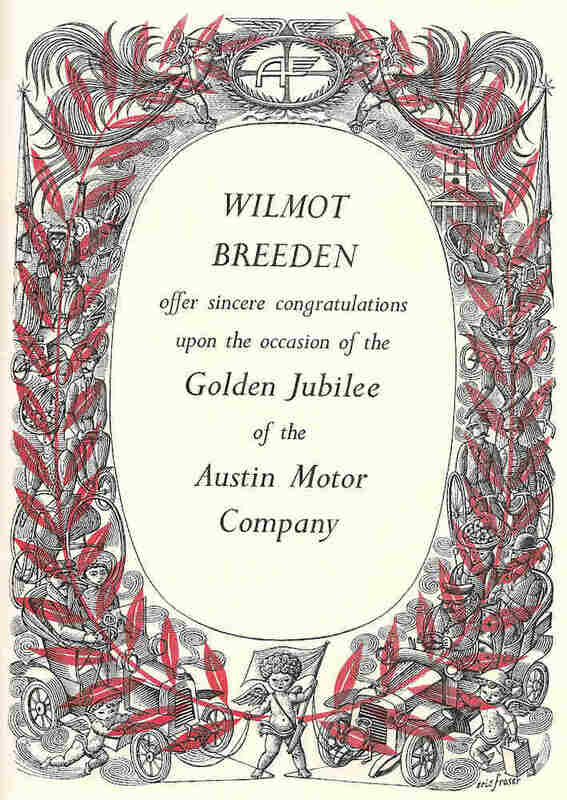 Wilmot Breeden advert congratulating Austin on the Golden Jubilee of the Austin Motor Company in 1955. 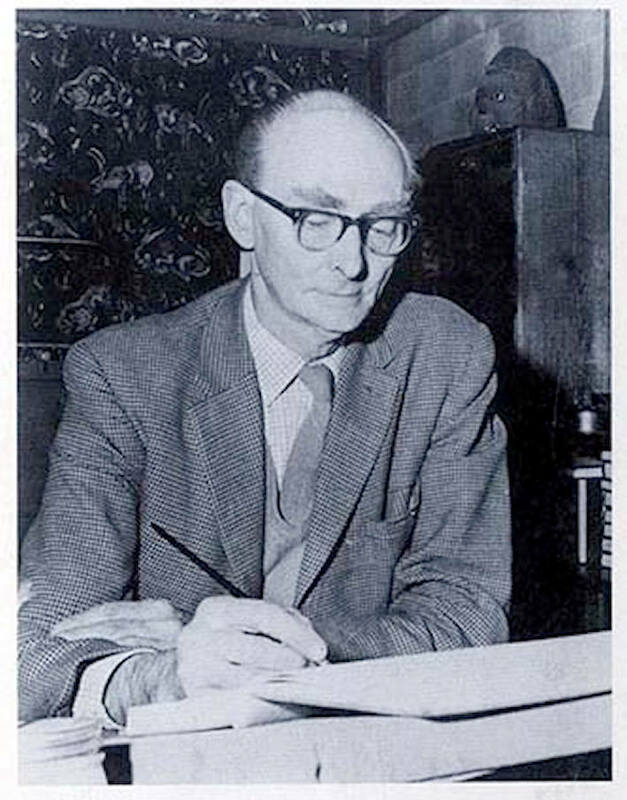 Image courtesy of Stuart Middlemiss.